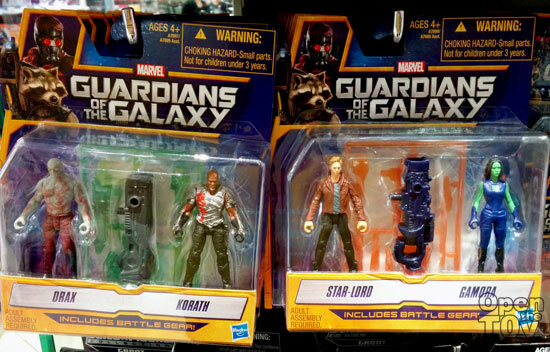 Just a few weeks away from the next Marvel action movie, Guardians of the Galaxy and Singapore retails the toys of the movie has arrived. 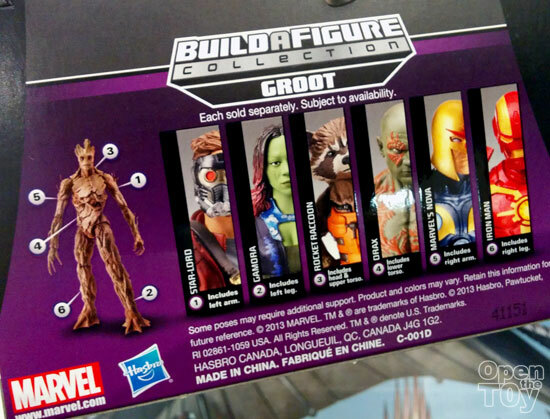 There are 12" figures with sound as special effect. There are total 6 of them including the comic Ironman. 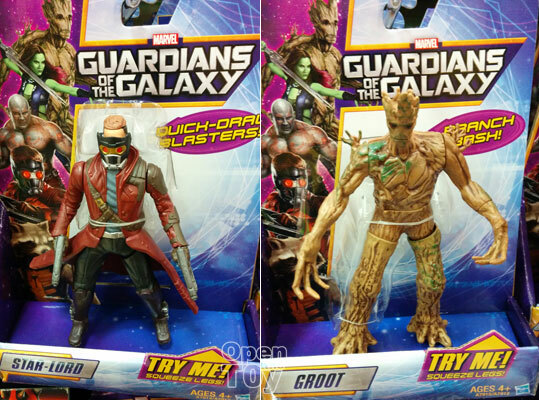 There are action figures of the Guardians which are around 5 inches. Finally the smallest figures that are around 2 inches. 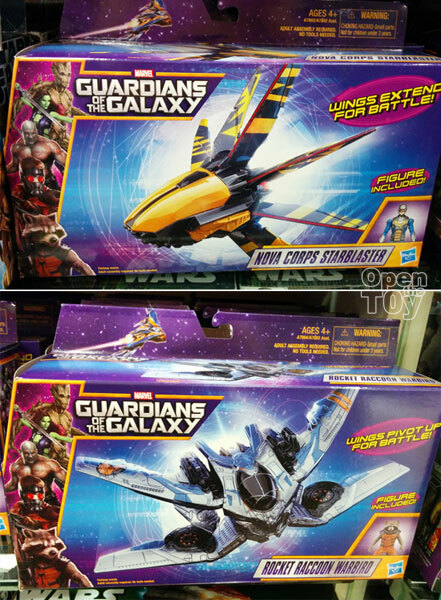 These figures are in scale with the so call different spaceships. 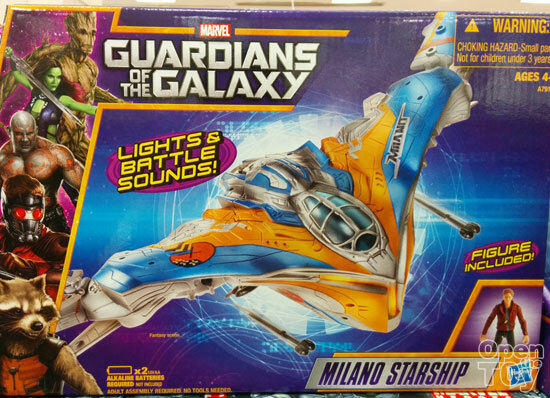 If you buy the main Milano Starship, it comes with Star-lord figures. 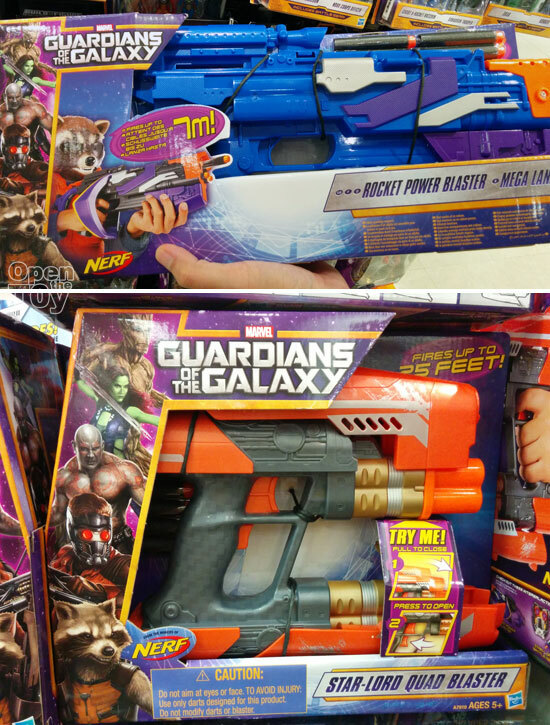 If you need some blasters to fire off, you can get the Rocket power Blaster or Star-Lord Quad blaster. 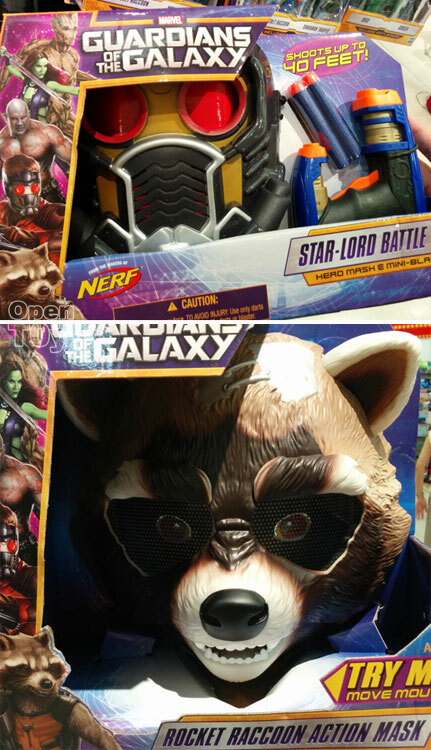 If you need some cosplay, you can get the Mask to complete the look! 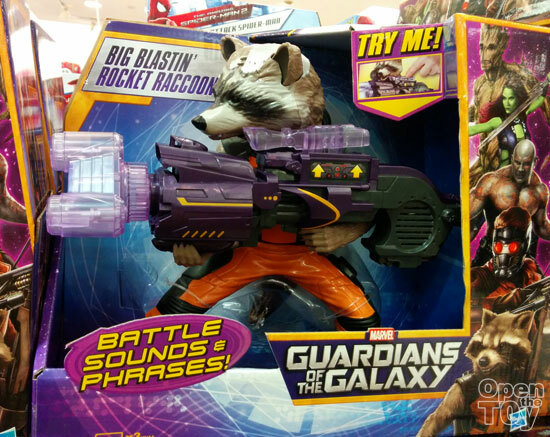 There is also this cute Rocket Raccoon who fire the blaster shaking itself silly. Very entertaining indeed! Well these are out for the fans in Singapore. Specking about fans, there will be Guardians of the Galaxy Red Carpet Event in Singapore at 6.30pm on Saturday, 12 July, at Shaw House. The cast like Zoe Saldana, Dave Bautista and Director, James Gunn will be there to give a sneak preview of the coming movie! 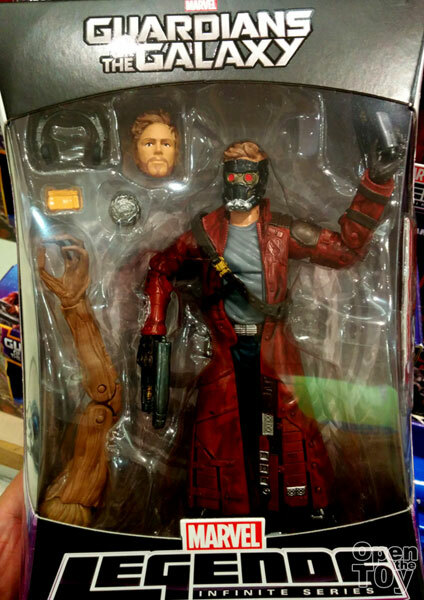 Hi UnKnown, these are on sales in most department retail store like ToysRus, Takashimaya, OG and so on. 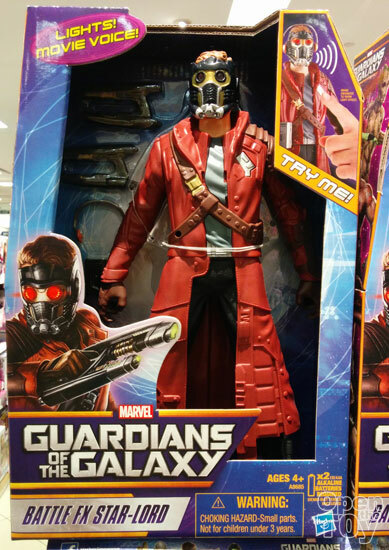 But some figures may already sold out. Depending when the retail restock.